Abu Dhabi: A multi-faith group of Abu Dhabi-based Indian expatriates are planning a motorbike ride across New Zealand next month where they will join Friday prayers at one of the two Christchurch mosques attacked by terrorists killing 50 worshippers in a mass shooting. 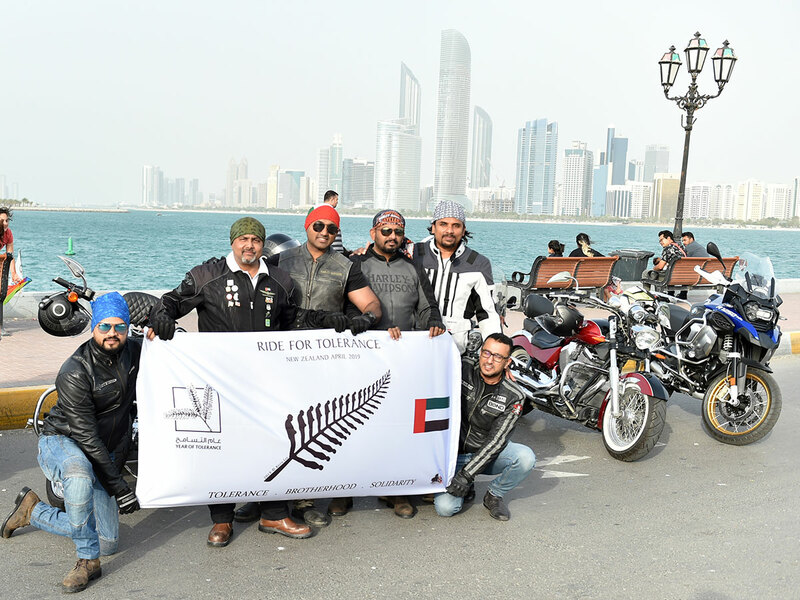 The bikers will do this to express solidarity with New Zealanders and to spread the UAE’s message of tolerance. “As the followers of major faiths — Islam, Christianity and Hinduism — we truly represent the UAE’s multicultural and multi-religious society that peacefully coexist as an example to the world during this troubled time,” said Koodali Tazathveetil Rajkumar, 55, a telecommunication engineer, who will lead the seven-member team from Abu Dhabi. Six of them are from Kerala and one from Karnataka. A friend from Bengaluru in India will also join the team in New Zealand. “We plan to Visit the Al Noor Mosque in Christchurch on April 12 and offer Friday prayers with people of all faiths who wish to join us,” said Rajkumar, a retired Indian Air Force officer and Abu Dhabi resident for around 18 years. “What happened in New Zealand is shocking. But it is the need of the hour for us all, as the entire humanity, to stand together and uphold values of peace and tolerance,” he said. Wearing T-shirts with national flags of the UAE and India, and a logo of the UAE’s Year of Tolerance, they will spread the emirates’ message of peace and tolerance. “We wish to engage with the local community in Taupo, Christchurch and Queenstown where we plan to convey our message of tolerance and peaceful coexistence. We will express our solidarity and support to the communities affected,” said Sreekumar Gopinath, an entrepreneur and Abu Dhabi resident for 19 years. 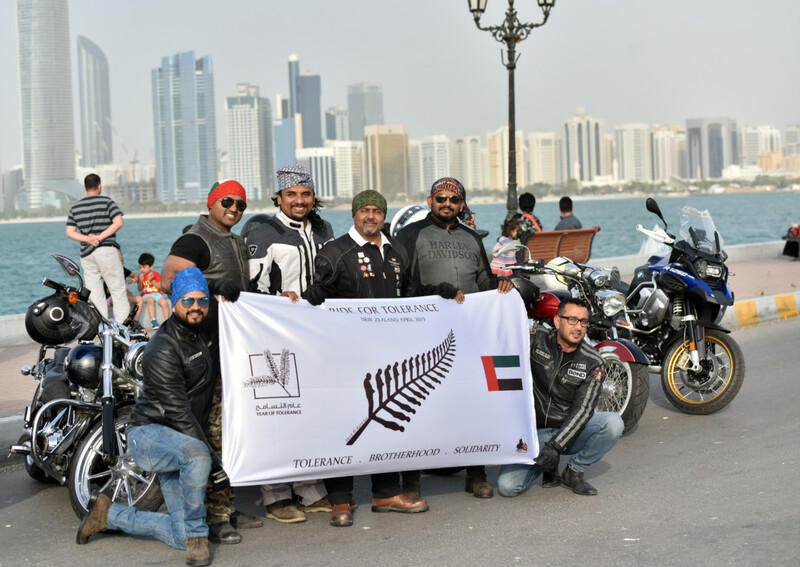 The team, all long-term Abu Dhabi residents, posed for pictures and video on their motorbikes for Gulf News on Abu Dhabi Corniche on Thursday ahead of their 3,200km ride across New Zealand. They will fly from Abu Dhabi on April 4 and reach New Zealand on April 6. On locally arranged motorbikes, their 12-day long ride will start at Auckland in the North Island on April 7 and end at Queenstown in South Island on April 18. They said the mission is also a giving back during the UAE’s Year of Tolerance as they were the beneficiaries of this nation’s tolerant policies. “We all have, over many years, benefited immensely from the wise and tolerant guidance and leadership of the Late Shaikh Zayed Bin Sultan Al Nahyan whose legacy of non-discrimination and love for citizens and residents is being carried forward by the current rulers,” said Byju Varughese Skariah, 37, a banker who was born and raised in Abu Dhabi. 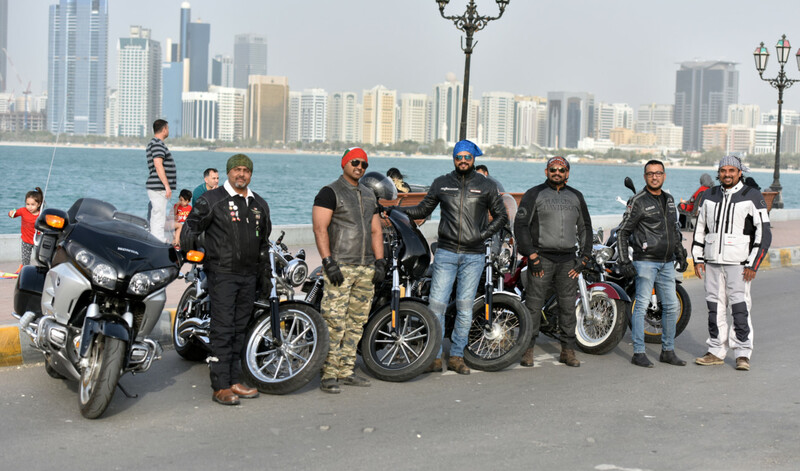 All of them have been going on motorbike rides together for years in the UAE and abroad. However, this will be the first overseas ride for K.P Jayapradeep, 42, a financial consultant and Abu Dhabi-resident for 15 years. “I am delighted that my first overseas ride is for a great cause,” he said. Ahmad Mohammad Elias, 46, a supply chain manager and Abu Dhabi resident for 18 years, said he felt that non-Muslims in his circle of friends took the initiative to express solidarity with the Muslim victims in New Zealand incident. “For me personally, it was a wonderful gesture of peace and love from my friends. I am happy that I can spread the values through this ride,” he said.